See Your Visualizations of NASA Missions on the Planetarium Dome! Calling all 3D Artists, Graphics Programmers & Software Developers, Astronomers & Astrophysicists: Would you like to see your own interactive space simulation running on the Hayden Planetarium dome?? Please apply to attend our "Buildathon" and be among the first to join the OpenSpace creator community! OpenSpace is a NASA supported project to create a cutting edge, open source, interactive data visualization software system to simulate the entire known universe and portray our ongoing efforts to investigate the cosmos. OpenSpace is multi-platform, with an extensible architecture powering high resolution immersive environments including tiled displays, planetarium domes, 3D theaters, and various mixed reality output devices. APPLICATIONS ARE NOW CLOSED - but be sure to read all the way to the bottom of this page to play the demo video and learn all the critical event details! Please note: acceptance emails and an invitation to a Slack team will be sent to selected applicants no later than October 13th. TAKE NOTE: This event is NOT a hackathon! This is a buildathon; unlike a hackathon, where you can show up unprepared & hack away on anything YOU WANT, you will INSTEAD JOIN ONE OF TWO TEAMS TO build A mission. You MUST prepare ahead and learn about THE data, THE models, and the missions IN ADVANCE OF THE EVENT in order to participate. We're asking all participants to attend a fun orientation session on Friday night where you'll meet museum researchers and curators, NASA mission subject matter experts, and the codemasters of the OpenSpace visualization platform! By the end of Friday night, you'll join a mission team: Cassini to Saturn or Messenger to Mercury. 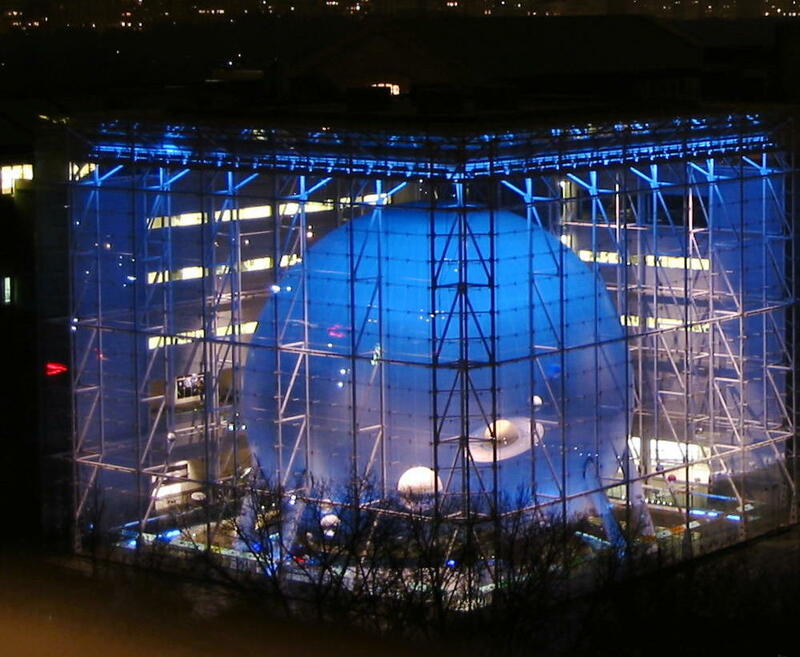 Teams will race to build as much as they can to see which sim plays in the Hayden Planetarium dome! Presented by Carter Emmart, Denton Ebel, and other guests TBA! Spooky Museum Activity - TBA! Saturday is when it's going down - Get to the museum in the morning, set up your machines, and start building! Who will win: #TeamSaturn or #TeamMercury?? Winning Mission Screens First in the Dome! Resources and Links You MUST Read And Explore Ahead of Time! TAKE NOTE: This event is NOT a hackathon! This is a buildathon; unlike a hackathon, where you can show up unprepared & hack away on anything you want, you will instead join one of two teams to build a mission. You MUST prepare ahead and learn about the data, the models, and the missions in advance of the buildathon in order to participate. You MUST review the links and resources below; you won't be able to build much without them! Learn about the Cassini and Messenger missions, how to deal with NASA mission data (SPICE kernels), where to find 3D object models, & more! Everyone should install OpenSpace, and focus on the resources that best reflect their skill sets. You must install the OpenSpace platform from Github on your laptop prior to arrival. Please review the guide to building simulations in OpenSpace & the Github repository wiki and go through all procedures, examples, and tests! The SPICE kernel is the file standard for NASA mission data that describes geometries of celestial objects and the travels of spacecraft. You will need to familiarize yourself with how SPICE files work! Learn about the Cassini mission to Saturn, a mission of prolific, ongoing discovery of the sixth planet, its iconic rings, and the 62 moons that orbit around it! Can you model the jets of gas and dust emitting from Enceladus? Learn about the eleven year mission to Mercury, the least explored planet in our solar system, and the unique Messenger spacecraft - designed especially for a five billion mile journey to carry an amazing science payload! This website is based upon work supported by NASA under award No. NNX16AB93A. Any opinions, findings, and conclusions or recommendations expressed in this material are those of the author(s) and do not necessarily reflect the views of the National Aeronautics and Space Administration. All participants in the OpenSpace buildathon adhere to the AMNH tech community Code of Conduct.